Back in March, Hangar 13 designer Seth Rosen gave a GDC talk titled Adding Life to your Level, which used slides to give examples of AI behaviour from BioShock Infinite and the upcoming Mafia 3. See what else is on the horizon with our list of upcoming PC games. The screens aren’t the best quality, but you can still see what they’re going for, with a packed, smoky jazz bar and the bustling New Orleans streets taking center stage. Have a look at them all in thefull document here. I can’t wait to get my hands on it. 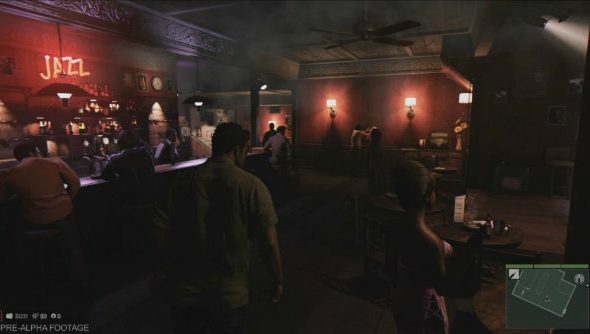 Mafia 2 was one of the most densely detailed open-world games of its time. I loved how its open-world was really just an intricate backdrop for the story, rather than a map littered with stuff to do, just for the sake of it. Hopefully that’s all stepped up in this sequel, with AI improvements making the world feel even more lived-in, right up until you go ahead and murder everyone.